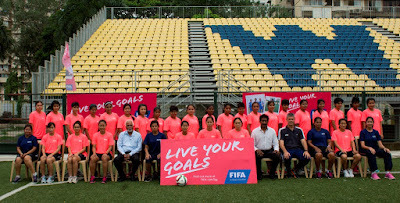 Members of the Indian Women’s National Team and local participants from WIFA enthusiastically engaged in the session, which aims to extend the outreach of Women’s Football, whilst spraying the expertise of veterans like Bembem Devi and Bala Devi amongst the young crop, enabling them to learn from the very best. 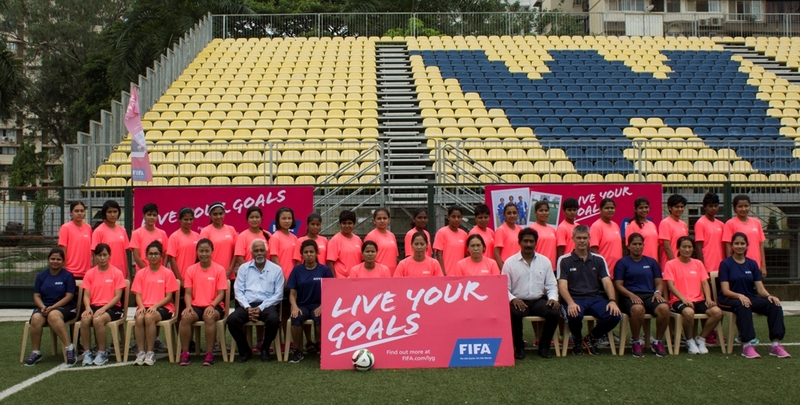 All India Football Federation’s Technical Director Scott O’ Donell, who played a vital role in organizing this imperative workshop for Women’s Football opines that the influence of veterans will not only enable kids to learn the minute details of the game, but will also motivate them in the process. “It is not only satisfying but encouraging to see interest foster amongst young girls”, O’Donell added. The 26 Participants, learn the basic fundamentals of Grassroots Football in their theory sessions. And then, emulate and spread them out for the young kids to learn, whilst engaging them with several Footballing activities. “We are as excited as the kids to engage in this Grassroots Session”, expressed the legendary Bembem Devi to www.the-aiff.com. “Conducting a Grassroots Session is very new to me, but I am loving the engagement with the kids. This new initiative by AIFF is bound to bloom”. Over a course of two days, 126 girls participated in the Grassroots Session, indicating that interest is starting to foster amongst the Women of our country. “It is always a pleasant sight to see young girls engage in Footballing activities”, opined Bala Devi. “This is a start of something positive and something new, which will take Women’s Football in India to new heights”, she concluded.